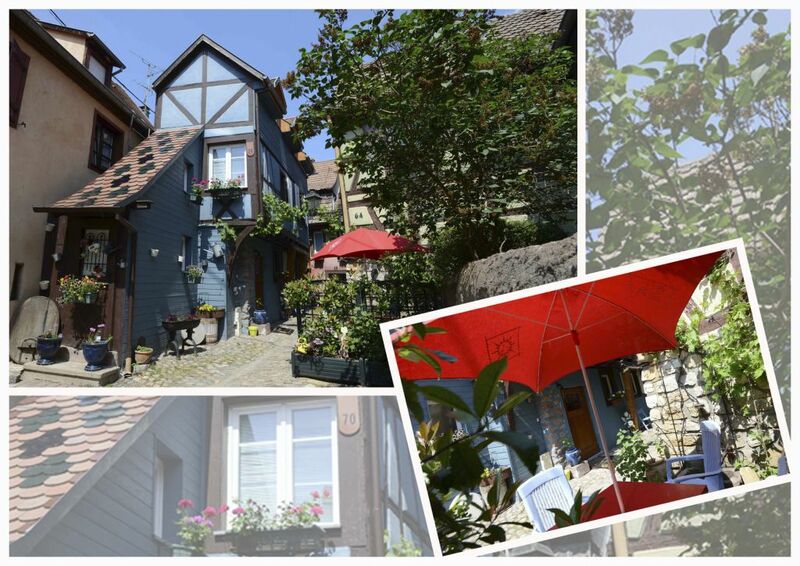 In one of the most beautiful villages of the wine route, 5 km from Colmar, "Gîte 70" is a small Alsatian house furnished with tourism with typical local colors! For a few days, 1 week, 1 month, you can move with ease thanks to the proximity of public transport and the train station ten minutes walk. You will enjoy the traditional atmosphere of an Alsatian house where the harmonious combination of colors creates a comforting, joyful and relaxing harmony. - the night watchman's round at 10pm from May 1st to October 31st - visit his vineyards - take away or taste on site his specialties and delicacies - traditional festivals throughout the year: St Nicolas (December 5th and 6th) ) and the Christmas markets, one of the most beautiful of the wine route! Easter celebrations with chocolate bunnies, wine festivals during the grape harvest, numerous hiking trailsA "4 seasons" village where each brings its charm, its animations, its originalities without forgetting the craftwork: pottery, workshop art glass, in short, whatever the weather, we never get bored!In summary: nothing better to immerse yourself in the traditions and atmosphere of a region with a strong identity and where the art of living and customs have remained alive for the delight of residents and visitors. Had a wonderful stay in this adorable gite! The place was very clean and very nice, comfy beds, and conveniently located near the restaurants and shops in Turckheim. We very much enjoyed our stay. Le gite était conforme à l annonce.Très bien décoré, bq de petites attentions de la part de Mme Bolinger nous attendaient.Endroit parfait pour visiter cette région magnifique, commerces et restaurants à proximité. Un vrai plaisir. A recommander vivement.